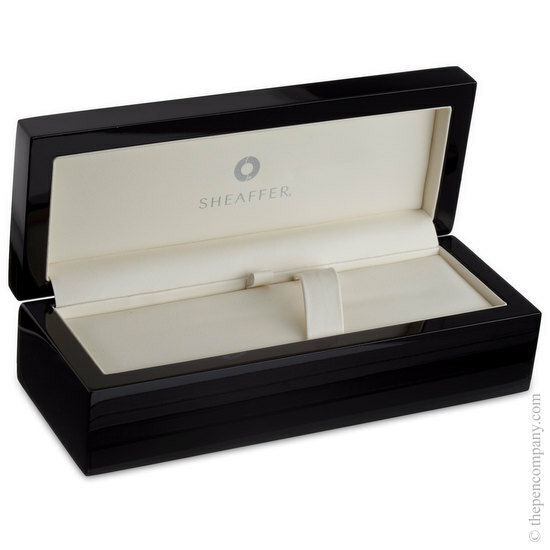 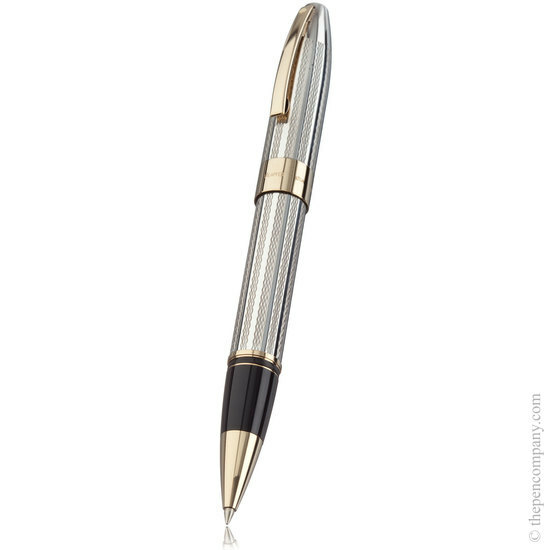 Top of the Sheaffer range, this elegant and stylish pen is designed to catch attention and make a statement. 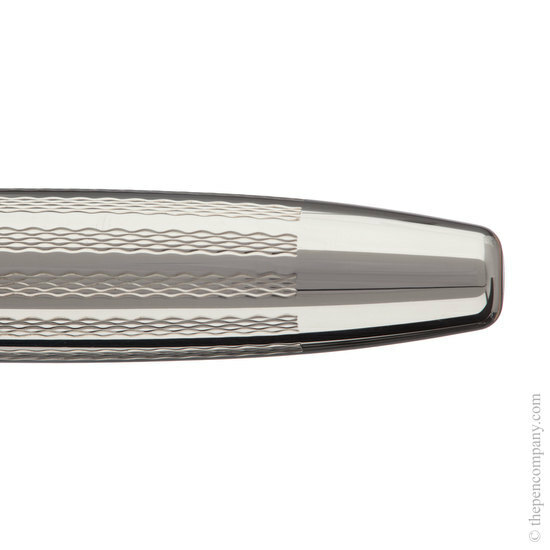 Made from Sterling Silver, the Legacy Heritage Barleycorn features an interrupted barleycorn guilloche design on both barrel and cap and is available with either a palladium, or contrasting 22K gold plate trim. 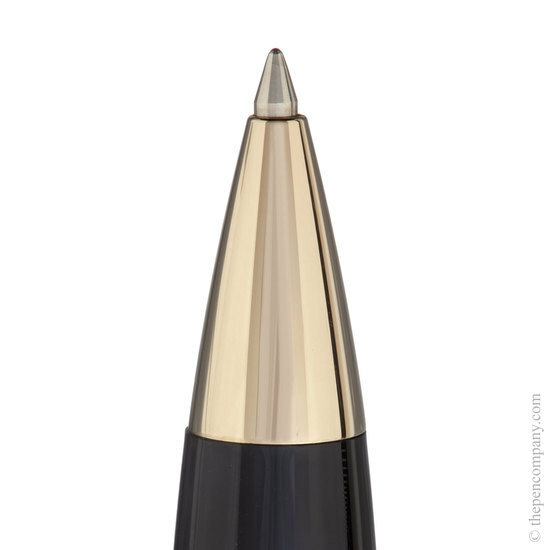 At 14mm diameter, the Legacy Heritage is an impressive piece, while remaining comfortable to use. 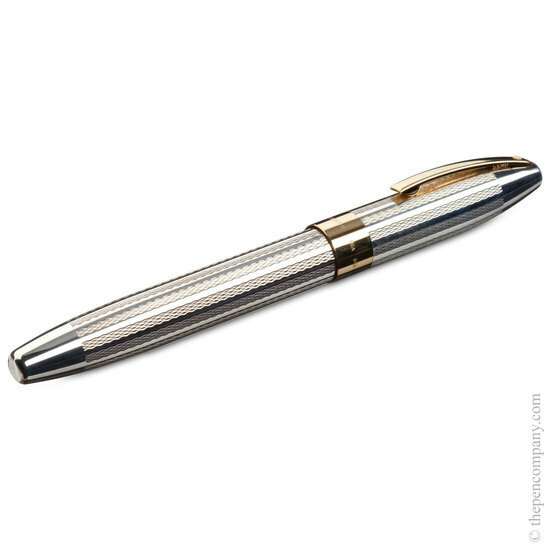 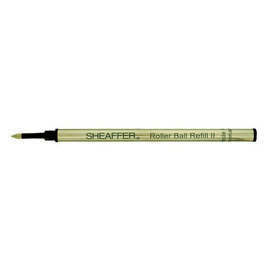 The Rollerball pen has a contrasting classic black grip complementing the silver barrel, and accepts the Sheaffer 'slim' rollerball refill. 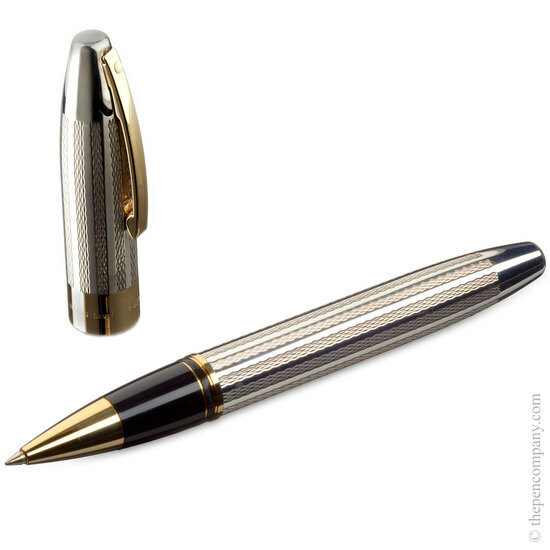 The fountain pen, also with a black grip section features the iconic and exclusive inlaid Sheaffer nib making this a truly outstanding piece.